WASHINGTON (Reuters) - U.S. lawmakers who reached an agreement on a must-pass defense bill cut from the legislation a measure that would have made it harder for the president to undo sanctions slapped on China's ZTE Corp <0763.HK>, a top Democrat in the Senate said on Friday. Lawmakers from both parties have been at odds with President Donald Trump over his decision to lift a ban on U.S. companies selling to ZTE, allowing China's second-largest telecommunications equipment maker to resume business. The company had made false statements about disciplining 35 employees involved with illegally shipping U.S.-origin goods to Iran and North Korea, Commerce Department officials said. That led to a ban ordered by the department in April that forced ZTE, which relies on U.S. components for its smartphones and networking gear, to cease major operations. Top Senate Democrat Chuck Schumer said in a statement that he opposed stripping the provision out of the defense policy bill. "By stripping the Senate’s tough ZTE sanctions provision from the defense bill, President Trump – and the congressional Republicans who acted at his behest – have once again made President Xi and the Chinese Government the big winners," he said in a statement. Republican Senator Marco Rubio called the change "bad news" in a tweet, lamenting the increased chances the Chinese "controlled" company stays in business. Democratic Senator Chris Van Hollen, with Republican support, had drafted a measure that would have made it harder for the president to undo the sorts of civil penalty that ZTE faced by requiring him to certify any reversal to appropriate congressional committees. That measure was approved by the Senate as part of the must-pass National Defense Authorization Act, or NDAA, which authorizes military spending. But it was taken out as lawmakers from the Senate and House of Representatives hammered out differences between the two defense policy bills. "Despite bipartisan support to put American national security before jobs in China, the Republican leadership refused to take any real, substantive action on ZTE. Instead, they joined President Trump in bowing to Beijing. It’s weak and shameful," Van Hollen said in a statement. The Commerce Department removed the ban on ZTE in mid-July shortly after the company deposited $400 million in a U.S. bank escrow account as part of a settlement reached last month. 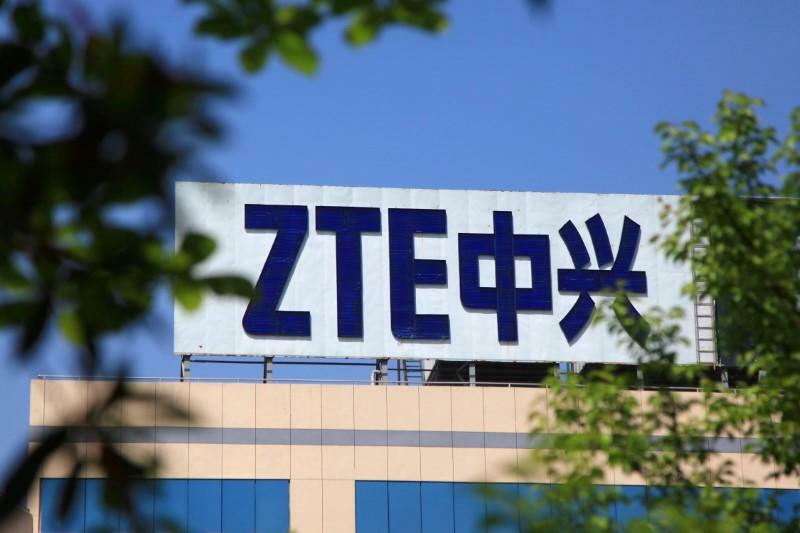 The settlement also included a $1 billion penalty that ZTE paid to the U.S. Treasury in June. Commerce Secretary Wilbur Ross, in announcing the deal, said his department "will remain vigilant as we closely monitor ZTE's actions."